KEN YUSZKUS/Staff photo. 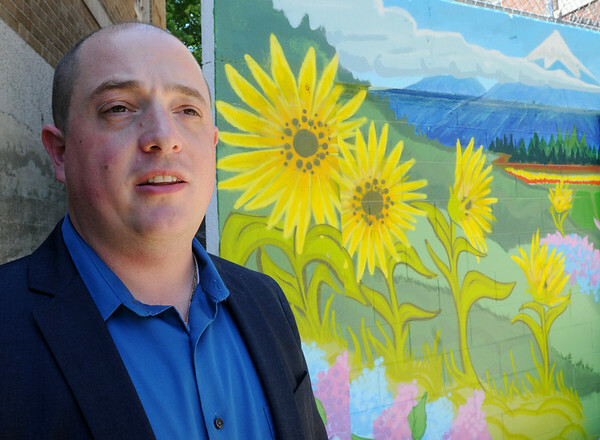 Lifebridge's new director Jason Etheridge stands near the new mural. 6/3/14.